The mountain has left me feeling renewed, more content and positive than I’ve been for weeks, as if something has been given back after a long absence, as if my eyes have opened once again. For this time at least, I’ve let myself be rooted in the unshakable sanity of the senses, spared my mind the burden of too much thinking, turned myself outward to experience the world and inward to savor the pleasures it has given me. Spring Break! 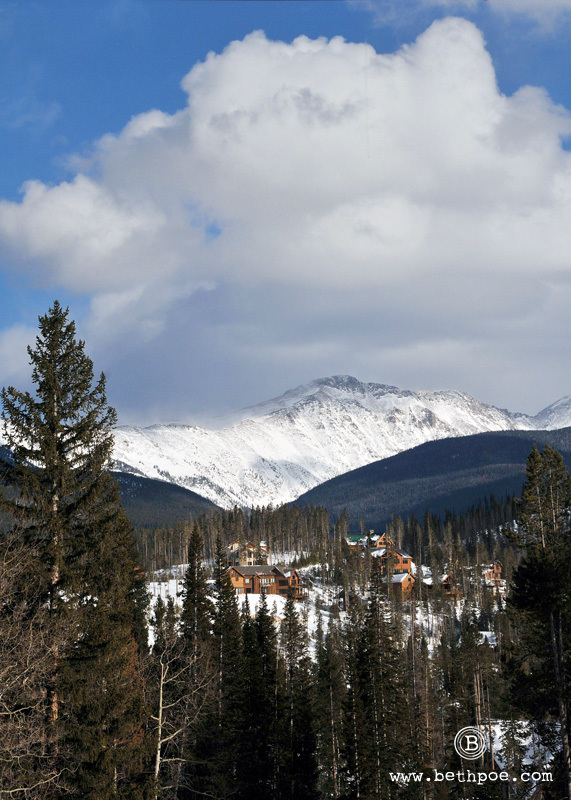 We escaped this past week to Winter Park, Colorado for a week of spring skiing, tubing and relaxation. We stayed at the mountain home of friend and the photo above is of the glorious view from the home’s main living area. How blessed we are to have the beautiful Rocky Mountains as our backyard playground, and how lucky to renew our spirits in such a peaceful setting.